A long line of hopefuls snaked out of the Matakana Hall carpark on Friday 13th as contemporary dance fans queued for tickets to the new Black Grace performance. 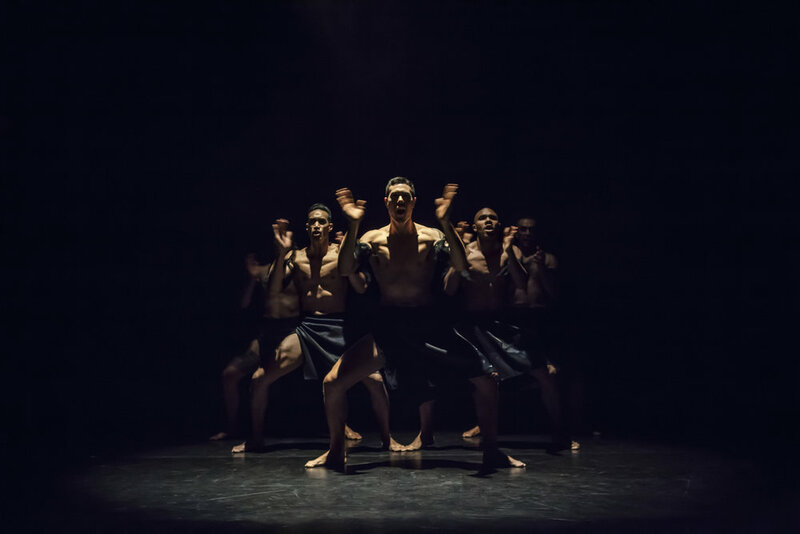 Legendary choreographer Neil Ieremia has taken his show on the road: 20 country halls at $20 a ticket for the 20th anniversary of his award-winning dance company. In Matakana, at least fifty at the end of the queue were turned away. Full house. Kids dangled their legs off the stage and grandmothers drank tea out of flasks as they waited for the dancers to arrive. When they did, everything stopped. The old hall shuddered with the energy of a stomping, shouting, haka-style dance of stunning intensity. Next, brown muscles and tattoos gleamed through island choral harmonies that brought to mind Sunday in Fiji. Big band swing had flirting girls in hibiscus-coloured dresses… then surprisingly, classical strings and Victorian cricket whites arrived with boundless energy. Always back though, to those spellbinding dark pacific rhythms. A whole new level for Black Grace.